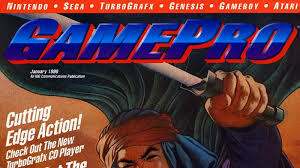 The ill fated GamePro TV did a 1991 “Cutting Edge” feature on the original Virtuality arcade systems, including footage from their premier multi-player Dactyl Nightmare title. Be careful not to fry your eyeballs on host J.D. Roth’s outfit; did anyone actually dress like this? Roth incorrectly attributes the system to Spectrum Holobyte, who was for a short time, one of four US distributors for Virtuality systems. Did the revolutionary (for 1991) Virtuality system really need this infomercial?